Am I alone in wondering what has happened to UK 470 sailing over the years? It never has been the strongest UK domestic class (don't know why, it's a great boat), but now there doesn't seem to be any UK class/open meeting circuit and for many years we seem to have had only world class sailor. All this for a boat that has been in the Olympics for 40+ years. The 420 class seems to thrive - why not the 470? 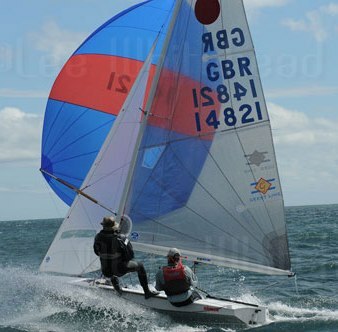 Adult sailing in higher performance classes has collapsed in popularity, with Fireballs and 505s a fraction of what they were and all the Topper and Laser boats gone, so its really no surprise the 470 has vanished. I think assy’s had a lot to do with the shift in numbers from the trad classes, but where are the Laser n000’s and Topper products now? Nowhere. So where have all those sailors gone? Are they all in Solos and Merlins? My perception of the 470 is that it used to be a poorly built product that didn’t last, and whereas with a ply ‘ball you could build your own - and very many did - that’s not the case with the 470. Exactly much more depth of quality in domestic fireball / 505 etc, and boats that can be built from epoxy foam sandwich so can last indefinitely and reasonably priced, well fireball anyway. 470s are nice but don’t carry weight and have always been expensive and don’t last due to the construction mandated by rule set. I've also wondered why there were not more of them, put it down to Olympic disease, we've had two or three sail out of our club over the years and they always did OK, it's one yardstick that has remained constant at 973. Good sea boat, bit old school with balooney pole thing you have to switch in a gybe, sort of reminiscent of a 505 but not quite so sporty. The 420 lingers on in similar style probably because its some sort of kids pathway boat, I note some of the lake kids have been abused into one, but there doesn't seem to be any similar 'pathway' into the 470 so probably the reason. Like no one says to anyone new, oh 470 you shoudl get one of those, it's only old school hacks that even know they exist. Where have these people gone? Into Solos and Aeros? When I joined Swanage Sailing Club in 1976 they had a club fleet of 470s. I borrowed one a couple of times to sail with my brother and enjoyed sailing them, really nice to sail, not difficult and fast. I think the fleet died out a couple of years later. Jonny McGovern is doing a lot of work to get the UK class up and going. There's a small band of Olympic hopefuls that sail them. But, you need to be quite small to helm them, I get the feeling the fireball is more forgiving of weight at the back (although possibly just because it's less competitive). But largely it's the same as the 49er. If you like that type of sailing then there's a UK domestic fleet already established which has a good social built alongside it. I don't agree you need to be quite small to helm them. You might need to be a certain size and weight to get optimum performance at a world level but, like most boats, that shouldn't put off anyone who wants to enjoy club and local sailing.